While a great deal of focus is falling on the NBA Draft, the success or failure of a team is not solely about the players. There is a lot to be said about the impact that a coach will have on their side and you find that struggling teams will often change their coach on a regular basis. The Cleveland Cavaliers have not had much success after losing LeBron James, and while they have had three first picks in the last four drafts, they have also had three coaches in this time. For the new season, there is a new coach in town and for people who solely focus on the NBA, the decision may be one that is slightly left-field. 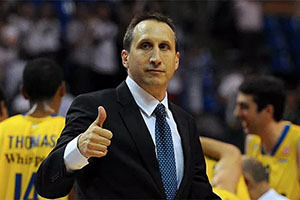 However, for people that follow basketball around the world, the appointment of David Blatt is an intriguing one. Blatt originally hails from Framingham, Mass and he graduated from Princeton but he returns to American on the back of success in the Euroleague. Blatt was the man behind Maccabi Electra Tel Aviv who caused a stir and a shock in the Final Four when his team triumphed in Milan against three of the biggest basketball teams in Europe. Blatt has been coaching since 1981 and this is going to be his 25th coaching job in that time so it is not as if he has no experience. The 55 year old becomes the first head coach to head to the NBA from the Euroleague. 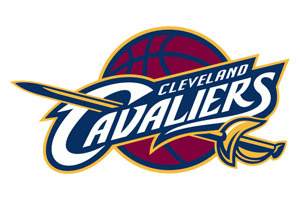 Given that it has been four years since the Cavaliers have been in the Play-Offs, expectations will be low but hopes will be high that they will make a return to the stage that every basketball fan dreams of. As well as taking Maccabi Tel Aviv to Euroleague success, he helped them win six Israeli Cup championships and five league championships over two spells in charge of the club. In between these two spells, which ran from 2001-2003 and 2010-2014 respectively, Blatt took charge of the national team in Russia. He was the coach in charge of the team at the London Olympics in 2012 when Russia took the bronze medal. This is the only medal that the Russian side has clinched since the demise of the Soviet Union. Blatt has clearly been able to be a success in his various roles around the world and he is coming to the NBA with a great pedigree and the knowledge of how to win and upset the odds. These are skills he will need to have in Cleveland and it will be interesting to see how the media, fans and players react to Blatt. There should be no doubt about his skill and talent but we all know that the sporting environment can be very unforgiving. Blatt may have a pedigree that stands up well but until he achieves success in America, there will be plenty of basketball people watching him very closely.